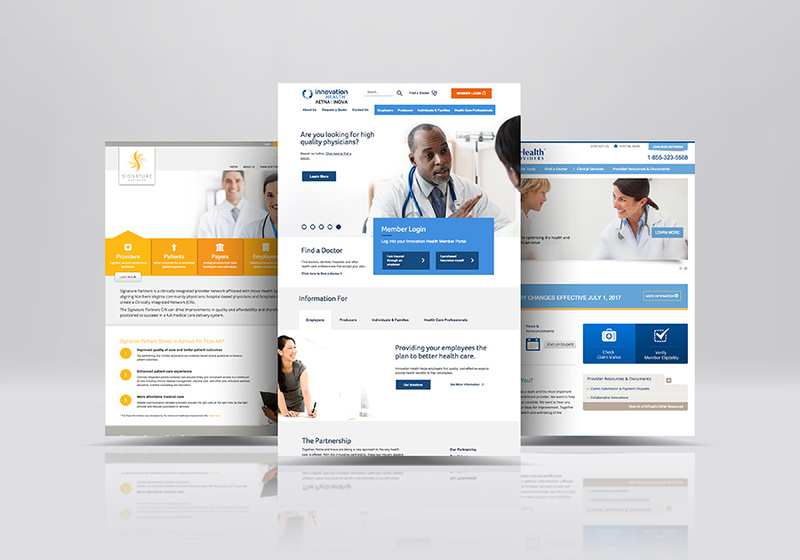 Healthcare websites are critical business and marketing tools in the medical arena. If yours isn’t driving-up patient numbers and facilitating workflow, then you might need a new one, stat. When it comes to healthcare websites, ACS has the cure. At ACS Creative, we have designed and developed dozens of websites for large healthcare companies, specialty practices and solo practitioners. We understand your specific challenges and use our deep expertise in healthcare marketing to create sites that solve them. Our mission is to allow you to focus on what you do best: building healthcare networks and healing patients. Take control of hospital networks and healthcare infrastructure. Let’s say you’re an insurance company with information that needs to be delivered to providers, individuals, and facilities in a secure and efficient manner. At ACS Creative, we’ve got just what the doctor ordered. Our healthcare websites can be designed to address all audiences and manage multiple portals of data. In fact, we did just that for Signature Partners, an integrated provider network. Patients, providers, payers, and other groups can easily access information pertinent to their needs. Doctors can learn about the benefits of joining Signature Partners while patients can search for in-network providers near them. For InTotal Health Providers we took it a step further than just a healthcare website by creating a robust back-end provider platform for registrations and claims. These kinds of online tools help businesses streamline their operations – which increases bottom lines. The upfront costs far outweigh the endless financial advantages you’ll reap over time. Tout medical innovations. People want to know. Consumers search for medical information ALL THE TIME. As a forward-thinking member of the healthcare industry, you can use this to your marketing advantage. Having a blog that offers tips on common illnesses or first aid is a great way to drive traffic to your website and build brand awareness, both locally and nationally. If you’re an oncologist, for instance, offer your take on the latest cancer research findings. If you’re a pediatrician, give new parents guidelines on care. The more valuable the information on your website, the more likely people will discover it, see your expertise and schedule an appointment. 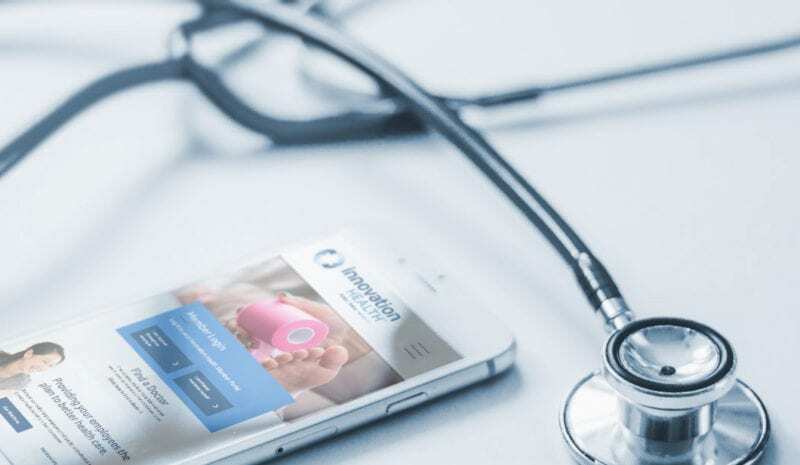 Similarly, you may be a company pioneering innovative medical treatments, like our clients Scandic Health and Aretech. In this instance, a website can be an invaluable tool to help spread the word about your products and services. For Scandic, we designed a modern website that delineates all the benefits of MusiCure and gives visitors the ability to learn more, listen to a sample AudioCure and contact the company. 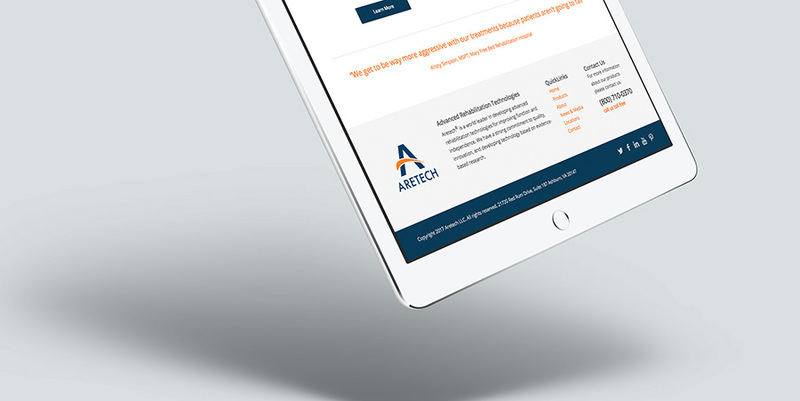 For Aretech, we used how-to videos and sliding feature sections to communicate their product’s benefits in an engaging way. So far, the prognosis for both websites has been very good. Everyone needs a doc. Help them find you. If you own a practice, you need a website that attracts new patients and keeps current ones coming back. That means your website needs to be mobile and tablet-friendly for those increasing numbers of consumers who research on the go. Of course you want them to find you, but if your site isn’t mobile-friendly, Google will ensure that they don’t. This is Google’s rule, not ours, but our web design team knows how to build websites that major search engines love. At ACS Creative, we are also skilled at SEO and online marketing – which means we can help practitioners, clinics, insurance providers and other healthcare companies outrank the competition. Set appointments, facilitate claims and more. There are a number of medical practice functions that can be solved with intuitive website design. First, we can ensure that your office hours and ways to make an appointment are clearly denoted on the homepage. Nothing is more frustrating to people who need to make a doctor’s appointment than hunting around for basic information. Check out this website design for South Riding Pediatrics. We highlighted hours and phone numbers in a sidebar that appears on every page. The appointment phone number is also in the header, site-wide. Parents with sick children have little patience for cumbersome websites, so we designed this one to be super user-friendly. If budget allows, we can also build a custom appointment setter that integrates with your current appointment calendar and updates in real-time. This way, people can conveniently make appointments online anytime. Submitting insurance claims, checking on their statuses and paying bills can also all be handled through your website. Imagine the time and paper your practice or clinic can save when you automate these functions through your website. Plus, it’s these kinds of conveniences that really drive loyalty and new patient acquisitions. For both patients and doctors, healthcare websites are all about efficiency. The web doctors are in. If you’re in the healthcare industry and need a prescription for website design, complete the form below and let's have a conversation.